If efficient business budgeting is important in good economic climates, it becomes even more crucial when times are austere and challenging. Against a backdrop of a choppy, flat lining economy where customers are often reluctant to spend on your business in the carefree way they once did, every small business owner needs to pay close attention to their budgets. First, remember exactly what a budget is – it’s a detailed statement outlining expected financial performance over a certain period of time, most often a year. Keep an eye on your cashflow. Many small and medium businesses end up in the corporate junkyard because they fail to adequately address cashflow problems as they begin to become an issue. A well thought out budget which accurately spits out the right expense/income numbers will help you to identify glaring cashflow problems before they become crippling. Keep in touch with your key suppliers. Maintaining a good, professional relationship with your major suppliers is important – not least because you can get a heads up on any potential price rises that could impact your business, and so your budget. The closer you are to your key suppliers, the more you’re likely to be able to negotiate a better deal for your company too. The human touch always counts. If you have salesmen who are responsible for getting your revenues on the front line, talk to them when drawing up your budgets. They are in the best position to know how sales are trending and should be able to give you a better feel of likely sales for the budgetary period. Keep a very close eye on potential bad debts. If you have large customers who pay on credit, your entire cashflow and budget could be derailed if a key credit customer defaults. In recent times we’ve seen big names like HMV, Blockbusters, Jessops, Woolworths and many more seemingly solid companies go into administration. If it can happen to them, it can potentially happen to your credit clients too. Don’t be afraid to edit your budget. Budgeting should be an ongoing, fluid process. Things change – your environment may create new opportunities or pressures, your cost base may change – a whole host of variables could change key numbers in your budget. It means that you should evaluate and re-evaluate your budget on an ongoing basis to give you a true and accurate picture of your likely financial performance. Keeping your budget current and accurate means scheduling regular meetings with the people in your company who know what’s happening with revenues and costs. Your budget should be a focal point to encourage staff to hit better sales targets, and introduce cost efficiencies. Keep admin expenses at a minimum. Small businesses need to always keep a cast iron grip on expenses – even small savings from multiple disciplines can add up and be the difference between turning a profit and loss. 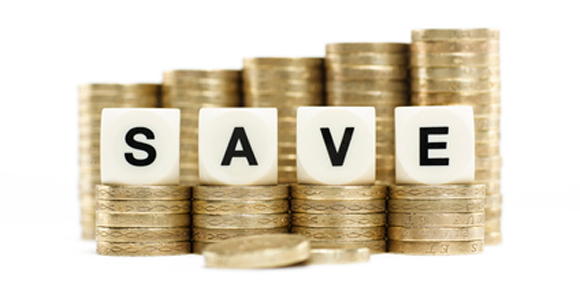 Identify where you might be able to make savings – stationary and print? Travel? If you happen to find that revenues are lower due to economic pressures, you may need to challenge your cost base regularly.